The electric-car maker delivered 63,000 vehicles in the three months that ended in March, down from 90,966 in the fourth quarter. Tesla shares sank as much as 11% to $260.59 April 4 in New York. 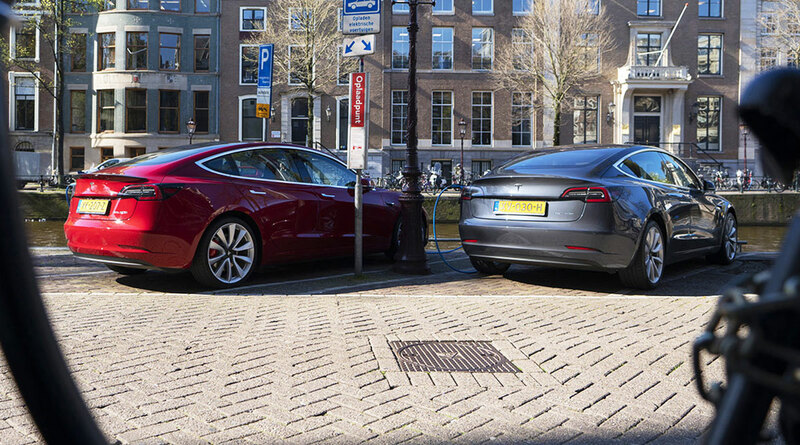 In the United States, where Tesla introduced the Model 3 sedan in 2017, tax incentives for its vehicles shrank. In Europe and China, the company struggled to quickly get the cars to consumers. The 50,900 Model 3 Teslas delivered in the first quarter missed analysts’ average estimate for 51,750 and was less than each of the two previous quarters. The shortfall is a setback for CEO Elon Musk’s plan to accelerate sales by lowering prices and targeting more markets worldwide. Bloomberg’s experimental Model 3 tracker also missed the dip in Tesla’s production numbers. While the tool has outperformed the average estimate of Wall Street analysts in four out of five quarters, its prediction of 79,130 for the first three months of the year was much too high. One explanation is that the Model 3’s international rollout could have inflated the tracker’s projection. Tesla reiterated its forecast of 360,000 to 400,000 vehicle deliveries in 2019, which Munster called a “silver lining” that may show buyers still are clamoring for the cars. But Tesla’s history of missing Musk’s ambitious projections may make it difficult to have confidence in the outlook, he said. Tesla’s 5.3% bonds due 2025 fell almost 2 cents on the dollar to 85.75 cents, taking the yield above 8%, according to Trace. The shares have slumped about 21% this year amid demand concerns, multiple price cuts, job reductions and a continued exodus of senior executives. More Tesla coverage Model 3 tracker misses Tesla’s production shortfall Musk tweet to get reviewed by judge as SEC claims contempt Why Tesla’s production forecast may undermine Musk’s defense. Musk capped the quarter with a tweet referring to the work his delivery teams had done as the “most insane logistics challenge” he’d ever seen. Tesla had a total of 10,600 vehicles in transit at the end of last month as the company started sales of the Model 3 in China and Europe. That’s more than triple the number that were still making their way to customers at the end of 2018, though it’s not unprecedented — more Tesla vehicles were in transit at September’s close. While Model 3 deliveries were underwhelming, bulls may give Tesla the benefit of the doubt because it was shipping so many cars to new markets for the first time, said Dan Ives, an analyst at Wedbush Securities. “The street was expecting an apocalyptic quarter and Model 3 deliveries were better than feared by many,” he said. Shipping cars to customers outside the United States was critical toward helping make up slack in demand after the federal tax credit Tesla customers were eligible for was cut in half as of Jan. 1. While this pulled some demand forward into the fourth quarter, the company said orders still outpaced the number of vehicles it was able to deliver in the first three months of this year. Tesla had warned shareholders that first-quarter deliveries of the pricier Model S sedan and Model X SUV probably would be lower than a year ago because customers rushed to buy in time for the full $7,500 incentive. The company set substantially lower daily production targets for the Model S and Model X in January, people familiar with the matter said at the time. Analyst Joseph Spak of RBC Capital Markets said that Model S and X deliveries, which totaled 12,100, were the lowest since the third quarter of 2015. The drop could translate into Tesla missing revenue estimates by more than $1 billion. “To us, this signals that the tax subsidy cut in the United States was a significant hit to these premium vehicles and/or Model 3 is having a bigger cannibalization impact,” Spak said in a note.